Human beings are the only creatures known to engage in sport. We are sporting animals, and our favourite pastime of football is the biggest sport spectacle on earth. 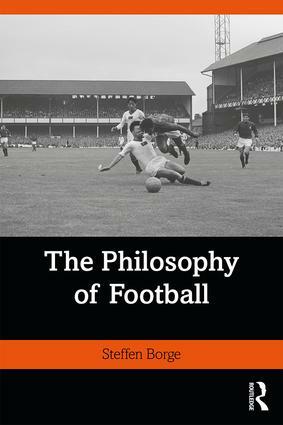 The Philosophy of Football presents the first sustained, in-depth philosophical investigation of the phenomenon of football. In explaining the complex nature of football, the book draws on literature in sociology, history, psychology and beyond, offering real-life examples of footballing actions alongside illuminating thought experiments. The book is organized around four main themes considering the character, nature, analysis and aesthetics of football. It discusses football as an extra-ordinary, unnecessary, rule-based, competitive, skill-based physical activity, articulated as a social (as opposed to natural) kind that is fictional in character, and where fairness or fair play – contrary to much sport ethical discussion – is not centre stage. Football, it is argued, is a constructive- destructive contact sport and, in comparison to other sports, is lower scoring and more affected by chance. The latter presents to its spectators a more unpredictable game and a darker, more complex and denser drama to enjoy. The Philosophy of Football deepens our understanding of the familiar features of the game, offering novel interpretations on what football is, how and why we play it, and what the game offers its followers that makes us so eagerly await match day. This is essential reading for anybody with an interest in the world’s most popular game or in the philosophical or social study of sport. Steffen Borge is Professor of Philosophy at UiT The Arctic University of Norway, Tromsø.